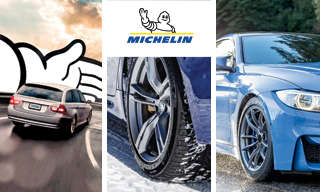 The Michelin brand is a popular choice amongst vehicle manufacturers' for original equipment, professional race car drivers and consumers. 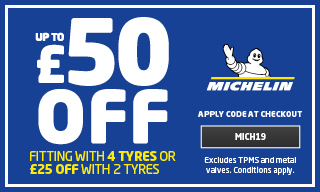 Michelin tyres regularly top independent tyre reviews for handling and wear adding to the brand’s reputation for fuel saving, reliability and high performance: MICHELIN Total Performance. As innovators in the tyre and rubber manufacturing industry, Michelin Tyre plc helped to develop the removable tyre, the radial tyre, “green” low-rolling resistance tyres and run-flat tyres. They also offer an extensive range of publications and online mapping tools. Michelin employs roughly 4,000 specialists, making their research and development department one of the largest in the tyre industry. ATS Euromaster is proud to be part of the Michelin Group. Michelin Primacy 4 - The new Michelin Primacy 4 gives you outstanding braking performance from the very first to the very last mile. No need to compromise on longevity as Primacy 4 will last 11,000 miles longer than its competitors, with an innovative new treadwear feature that will let you know when your tyres need changing. Michelin CrossClimate - The newest innovation from Michelin, these are the first summer tyres to come with a winter certification helping you keep safe in all weather conditions whilst providing the added simplicity of having one tyre all year long. This is Michelin's award-winning all season tyre. Michelin Energy Saver+ - Suitable for city cars, MPVs and saloons, offering fuel efficiency, low rolling resistance, exceptional road grip and reduced braking distances of up to 3 metres. The patented asymmetric tread pattern and Michelin's exclusive silica compound ensures that tyres last up to 6,000 miles longer than the average. Michelin Pilot Sport 4 - Aimed at sporty vehicles and high-powered saloons, these tyres offer an enhanced driving experience and extremely precise steering. Made from a revolutionary rubber compound exclusive to Michelin, these tyres have excellent wet grip and incredible control on slippery road surfaces. ATS Euromaster are proud to provide Michelin car, van & 4x4 tyres throughout our network of over 300 service centres, so you can be sure to find Michelin tyres near you. We stock all major patterns for use in the summer, winter & all season.